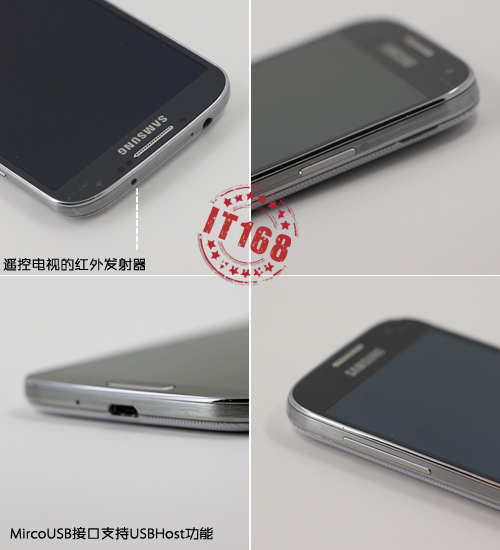 Will the Galaxy S IV have an IR blaster? Thanks to the famous Chinese poster we know more about the screen technology but there is more. According to the same source who has also published a review (Chinese) it’s possible that the successor of the Galaxy S III will have an IR (Infrared) blaster. It’s possible that Samsung will preinstall their TV Discovery app, which they also included for the Galaxy Note 8.0, or they have more software enhancement which will take advantage of the IR blaster . With the TV Discovery app you can control your Smart TV and your entertainment centre directly from one device! Samsung is really going for it this time! IR Blaster, and HyperBlaster, and Plasma Booster, and a Laser. On the other hand, commercial IR would be nice – but it’s surely nothing important, all in all. if the s4 still have infrared, it will be mine!!! is there any apps that can copy remotes functions for android like psiloc irRemote? Yes the preinstalled app Smart Remote App on my note 10.1 is just brilliant! You can not only chose buttons, but also see the programm list on it and yoh also can controll other devices like blueray player too!